At DOJ, Mr. Stander assisted in the prosecution of literally hundreds of proposed criminal RICO prosecutions. Mr. Stander reported directly to the Principal Deputy Chief of OCRS and provided recommendations whether criminal RICO prosecutions should be approved, and if so, which defendants and specific predicate charges should be approved. Once a RICO (or Violent Crime in Aid of Racketeering) indictment was returned, Mr. Stander would closely work with AUSAs and assist in the prosecution by writing motions and appeals involving the RICO charges. Mr. Stander specialized in the review and litigation of complex fraud and public corruption prosecutions. These cases required detailed and thorough knowledge of not only RICO case law, but the case law involving mail and wire frauds, extortion, and bribery. 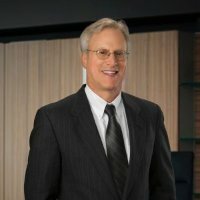 Mr. Stander is a civil RICO Attorney who has experience litigating complex civil RICO fraud cases, and understands whether a case has the potential to be a sustainable civil RICO case as opposed to a “garden-variety” business dispute. Mr. Stander has extensive knowledge of the case law involving civil RICO, including issues which are particular to civil RICO, such as the “injury to business and property” requirement, and the RICO statute of limitations. Mr. Stander also worked as an Attorney with DOJ’s Labor-Racketeering unit, and has extensive experience involving employee benefit plans and labor unions. Mr. Stander participated in various government civil RICOs involving International labor unions, such as the Teamsters, the Hotel Restaurant Workers, and the International Longshoreman (ILA). Mr. Stander has worked on a multi-district civil RICO class action fraud case in private practice. Mr. Stander made significant contributions to the firm’s partners working on this case, including significant legal work on a Second Circuit Court of Appeals interlocutory appeal which upheld the lower court’s class certification decision. Mr. Stander counseled the firm on the many legal civil RICO issues involved in the litigation. Mr. Stander’s experience as a civil RICO Attorney allows him to effectively and efficiently analyzing and solving complex legal problems has led to his receipt of numerous awards from the DOJ for outstanding legal work. That includes being chosen to participate in elite prosecutions and projects such as the Department of Justice’s Guantanamo Bay Litigation team. Mr. Stander is a Phi Beta Kappa graduate of the University of Maryland, a graduate of the University of Maryland School of Law, and is licensed in both Maryland and the District of Columbia.